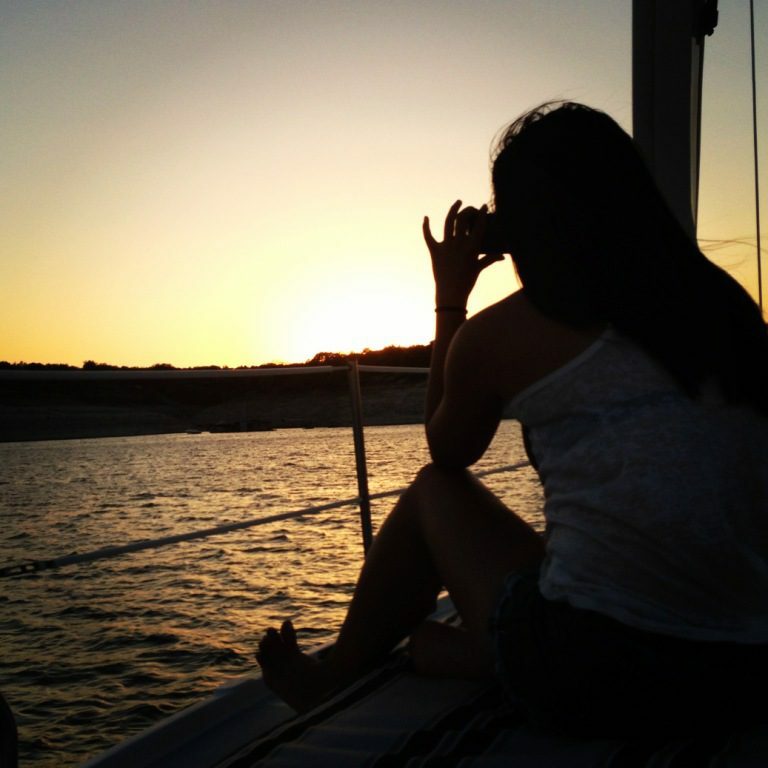 Sail Austin knows not everyone will have the opportunity to privately charter the full yacht for themselves. So we created our Shared Sunset Sails. 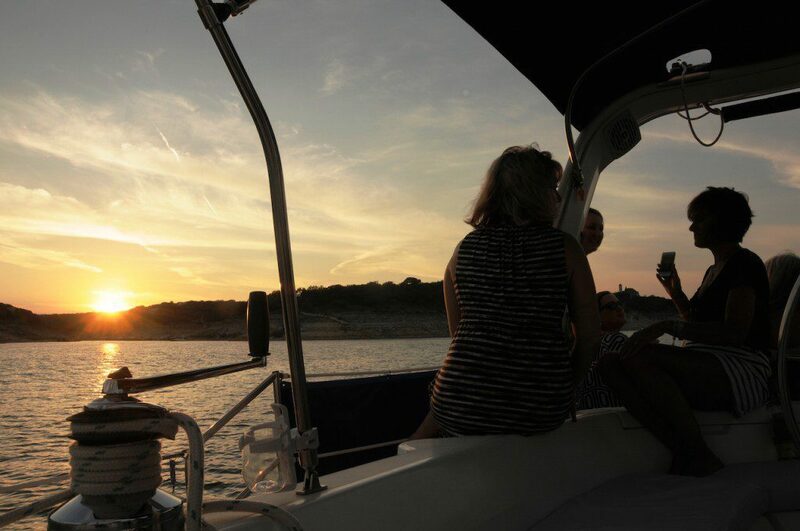 Each Saturday evening when we don’t already have a private sunset charter booked, we make places available on a shared basis. The cost is $79 per person to sail on the yacht. And, as long as we have a minimum of 5 people reserve a place, we will sail. 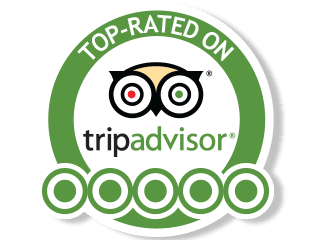 We accept reservations for up to 12 guests. 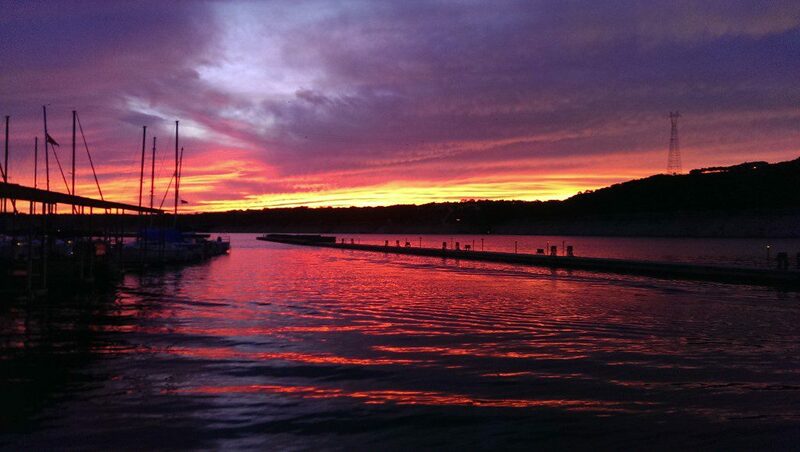 Shared Sunset Sails allow you the ability to pay for only 1 or 2 people and still enjoy sailing into the setting sun aboard the largest and certainly one of the most beautiful sailing yachts on Lake Travis. 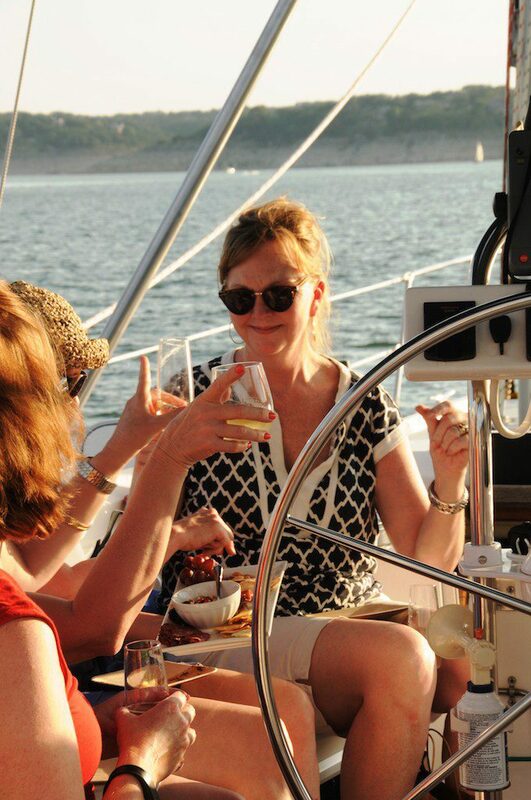 Come enjoy the late afternoon sail and meet new friends or sit back and relax on your own while enjoying the sail to yourself. The cash fee for the two and a half hour cruise is $79 per person (can you say date night?!). 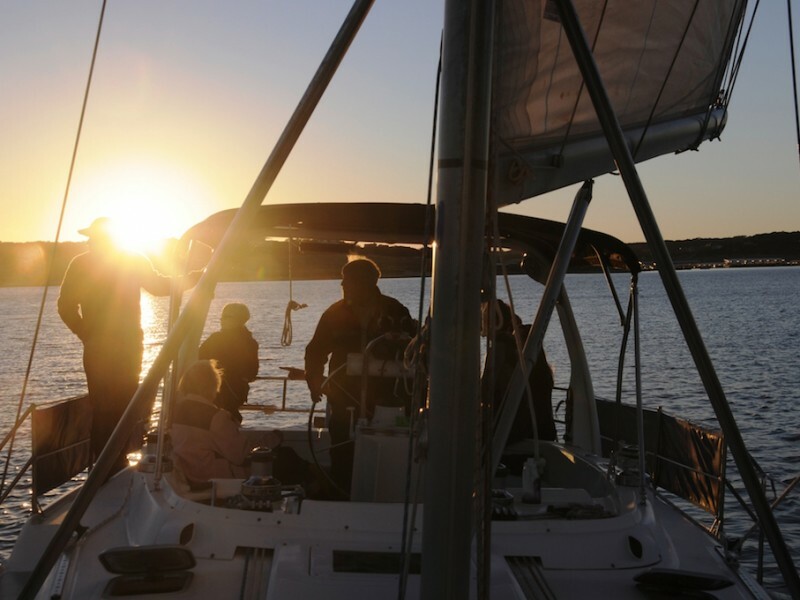 Shared Sunset Sails require a minimum of 5 people for the yacht to sail. 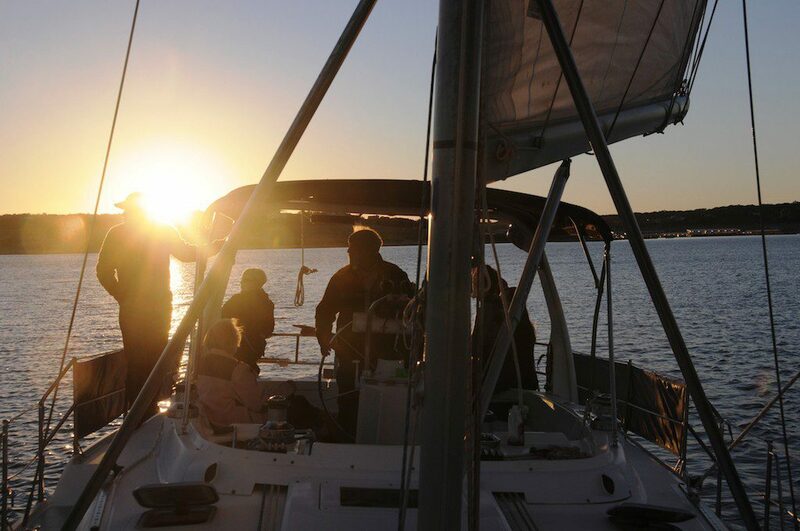 Although the yacht's capacity is 15, we accept up to 12 guests on board for the Shared Sunset Sail. 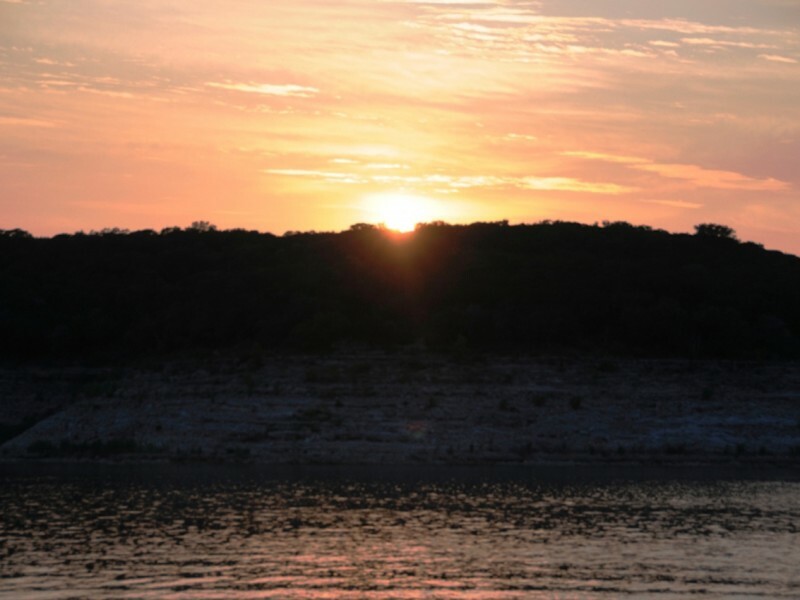 Departure will be approximately 2 hours before sunset and will return about 30 minutes after sunset. 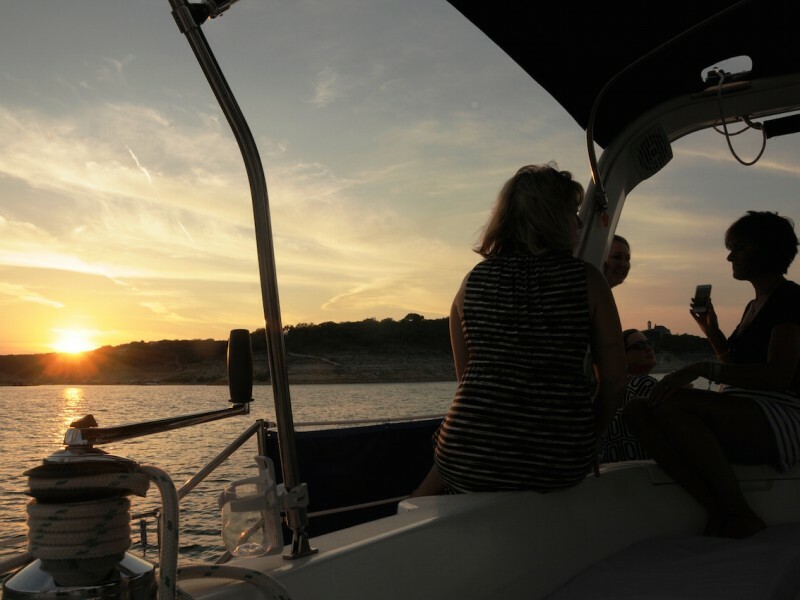 Walk-ups are allowed but reservations are recommended to ensure both that space is available and that the yacht has at least 5 guests to guarantee the sail. 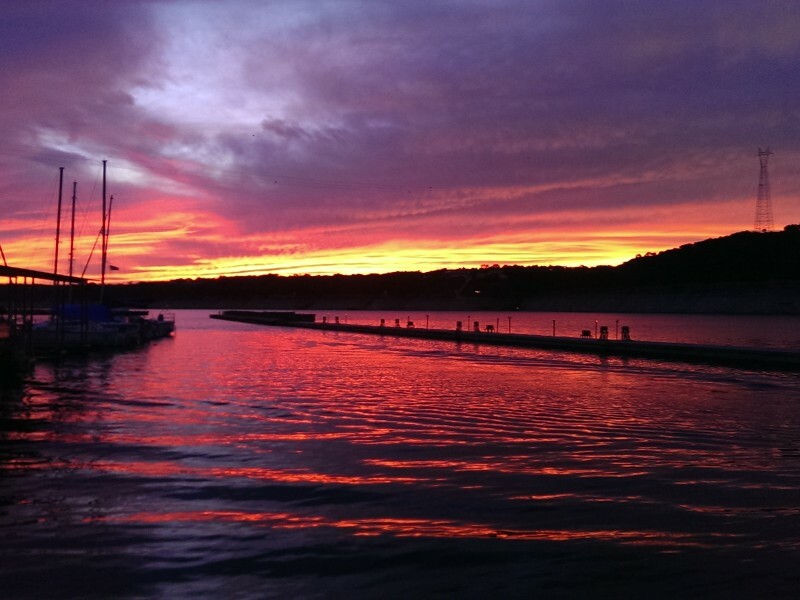 Please look up the date of your preferred sail on our Sunset/Moonrise Schedule. 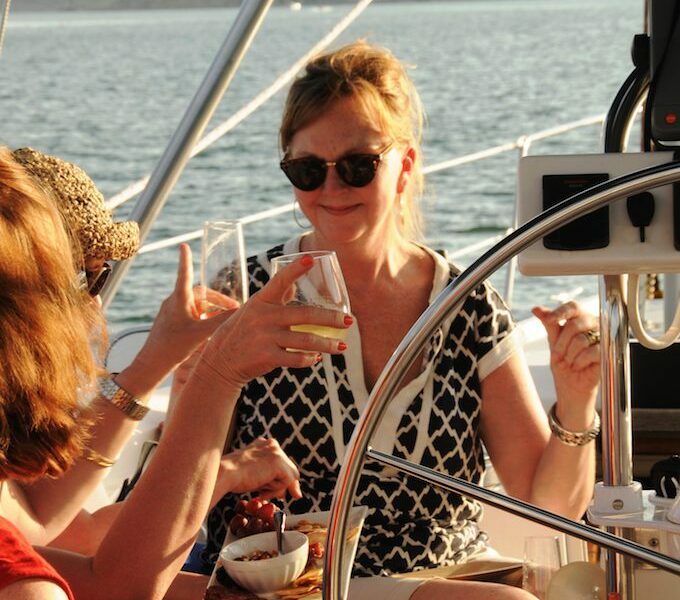 Payment is accepted prior to sailing in the form of cash or credit card (4% convenience fee). Please call 817 . 909 . 2378 to reserve your space.